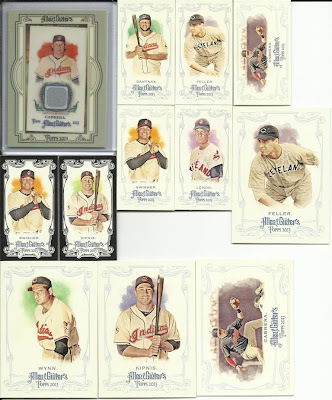 Indians Baseball Cards: Crackin' Wax Prize Package! It came! It came! Today, I received both my share of the Crackin' Wax 2013 A&G case break *and* the 2013 A&G prize box given away as part of his charitable donation fundraiser. Not only did I get Indians base cards and the ones shown above, but I also got three "Across the Years" Tribers, too: Kipnis, Swisher, and Bauer! 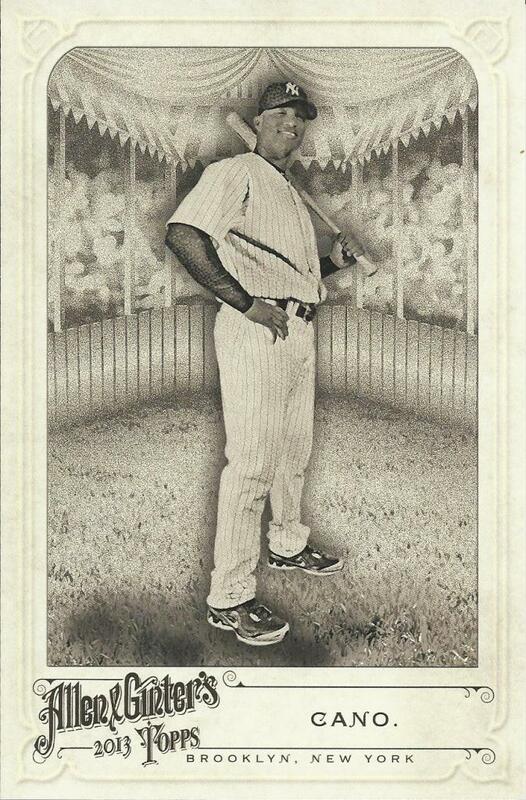 I am not going to say which players/cards have doubles with them. Instead, I am going to put one of each double into the Outer Space manager's stack that has that player on their team. The rest of the doubles will be saved for trades or future giveaways. Any chance of a lid card? Nope. Sorry, glued shut. Dang. The oversized card? I'm just thankful it wasn't another awful "Wonders of the World" mess. So, my next goal is to get the prize box scored as a second entry in Gint-A-Cuffs and see if it can top my first box. Speaking of the first box, there are still plenty of spots open for the group break, but time is running out! The deadline to enter is Sunday, August 18, 2013 by 5pm CST. If all the spots are filled, then I will buy another box of A&G and do another group break. If all the spots are not filled by the deadline, unclaimed cards will be distributed randomly to those who bought slots! So, either way, you're bound to get more cards! Shop Back to School at Target.com! Tribecards from Outer Space: Two-Fer-Tuesday? Tribecards from Outer Space: Three-for-Thursday! It came! It finally came! 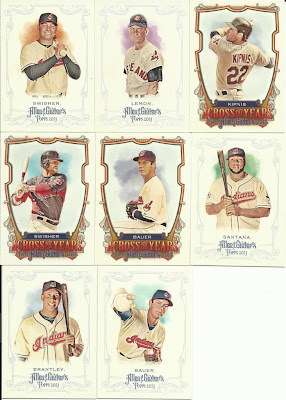 Tribecards.net is copyright David Henderson. Individual articles are copyrighted based on their publication date. All opinions expressed on this site are those solely of David Henderson and not his employer or associates.